The Jeep Grand Cherokee and Ford Explorer are two of the hottest midsize crossovers on the roads and are the kind of models that are bringing American auto manufacturers back to profitability. Based on January 2012 sales figures released by the automakers, the models finished in 1st and 2nd place, respectively in the midsize class. 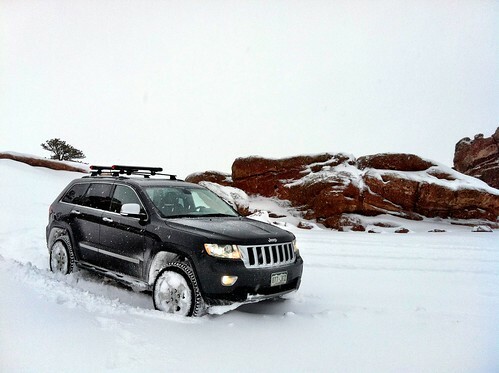 Jeep sold 10,683 Grand Cherokees in January, which was a 40 percent increase compared to January 2011. The Grand Cherokee was all-new for the 2011 model year. 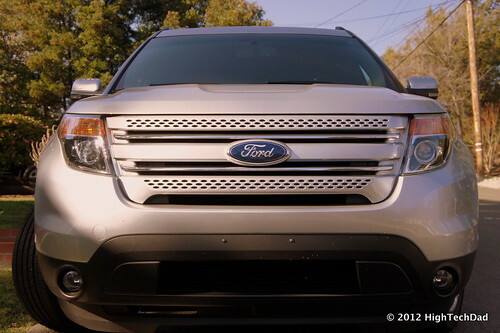 The Ford Explorer had sales of 9,966 units, which was up 35.6 percent from January 2011. The Explorer entered its fifth generation in 2011, and for the first time ever became a crossover model. Performing a Jeep Grand Cherokee vs. Ford Explorer comparison can help determine which of these models better fits your family’s needs and budget. The 2012 Grand Cherokee and Explorer have very comparable pricing, engine power, and fuel economy. The Explorer has the benefit of an extra gear (6-speed automatic vs. 5-speed automatic) and its fuel economy is slightly better in the base model (18/25 for the Explorer Base FWD vs. 16/23 for the Grand Cherokee Laredo 4X2). However, with all-wheel drive, fuel economy is very similar (17/23 vs. 16/23). The Explorer is about 120 pounds lighter than the Grand Cherokee, helping to give it quicker acceleration. Both of these models have a starting price in the high 20Ks. But if you want more luxurious features, these models get expensive. For example, the starting MSRP of the 2012 Jeep Grand Cherokee Limited 4X4 is $39,995, while the Ford Explorer Limited 4WD starts at $39,855. Both models have a towing capacity of 5,000 pounds. However, the Grand Cherokee offers the optional 360 horsepower Hemi V-8, which boosts towing capacity to 7,400 pounds, at the expense of several miles per gallon of fuel economy. What separates the Explorer from the Grand Cherokee is its third-row of seats, with seating for up to 7. The Grand Cherokee lacks the third row but it should be noted that the Explorer’s third-row is really only suited to fit small children. The Explorer also has more front and rear headroom, front and rear shoulder room, and rear leg room than the Grand Cherokee, which is not surprising considering the Explorer is 2.4 inches wider and 7.3 inches longer. With the third row folded, the Explorer still has quite an edge in cargo space with the seats folded down. The Explorer has 80.7 cubic feet vs. 68.7 cubic feet for the Grand Cherokee. The Grand Cherokee carries Jeep’s legendary off-road heritage and the company’s TrailRated® badge. The model has been tested in the most strenuous off-road conditions for water fording, articulation, maneuverability, articulation, traction, and ground clearance to earn its badge. So if you want off-road capability, the Grand Cherokee is a clear choice. 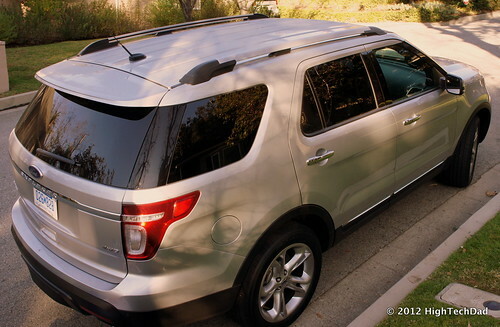 Ford has introduced its EcoBoost four-cylinder engine into the Explorer for 2012. The model is offered with front-wheel drive and returns outstanding fuel economy. The model is rated at 20-mpg city and 28-mpg highway, making it one of the most fuel-efficient SUVs on the roads. Chrysler has no plans to introduce a turbo-charged four-cylinder engine into its Jeep line, but is planning to offer an eight-speed automatic transmission in the Grand Cherokee later this year. Jeep also began offering the incredibly powerful Grand Cherokee SRT8 in 2012. Typically the Jeep Grand Cherokee vs. Ford Explorer buying decision really comes down to buyer preferences in terms of styling and the trade-off of interior room vs. off-road capability. However, both models should be taken for a test drive to get a feel for how they drive, along with competitors such as the Chevrolet Traverse, Dodge Durango, Honda Pilot, Mazda CX-9, and Toyota Highlander. Which 2012 model do you prefer?